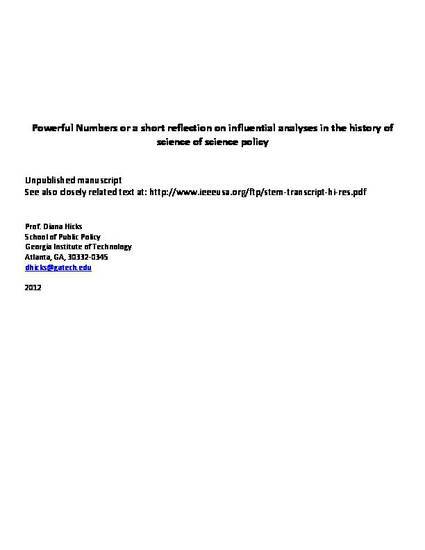 The quantitative analysis of issues relevant to science policy has a history dating back several decades. Over that time, there have been occasions in which scholarly analyses have escaped from the ivory tower and made an impact on policy discussions or on policy itself. In this paper, I review some of these occasions, looking at what type of analyses were used, who used such analyses, and for what purposes.